"Politicians and military leaders sound increasingly belligerent and defense doctrines more dangerous. Commentators and TV personalities are joining the bellicose chorus. It all looks as if the world is preparing for war," Gorbachev stated in an opinion piece in Time magazine on Thursday. He added that the most pressing challenge we face today is reversing the "militarization of politics." "While state budgets are struggling to fund people's essential social needs, military spending is growing. Money is easily found for sophisticated weapons whose destructive power is comparable to that of the weapons of mass destruction." He called on members of the UN Security Council to take the lead on re-establishing a resolution stating that nuclear war is "unacceptable and must never be fought," and said that Putin and Trump should be the first leaders to embrace this. "I think the initiative to adopt such a resolution should come from Donald Trump and Vladimir Putin — the presidents of two nations that hold over 90 percent of the world's nuclear arsenals and therefore bear a special responsibility." A similar agreement was established between the U.S. and the Soviet Union in the 1980s, but has since been eroded along with the relations between the two powers, Gorbachev said. 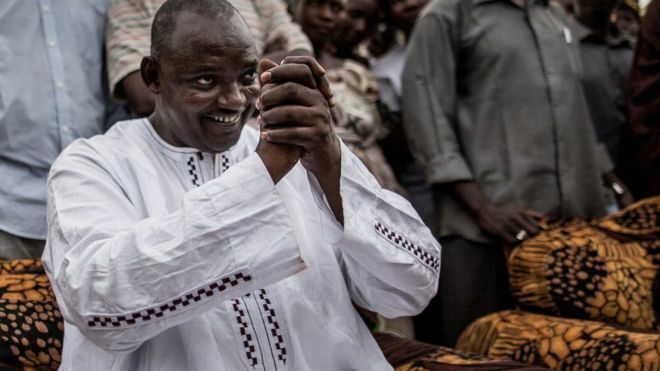 Gambia's new President Adama Barrow will arrive in the country on Thursday, a week after he was sworn into office in neighboring Senegal, an official with the new government confirmed Wednesday. The official spoke on condition of anonymity because he was not authorized to speak to the press about the matter. At least 15 people have been killed and dozens wounded in a coordinated gun-and-bomb attack carried out by al-Shabab at a popular hotel in Somalia's capital, Mogadishu, according to officials. The assault on Wednesday morning began when attackers rammed an explosives-packed car into the gate of Dayah Hotel, which is near Somalia's parliament in central Mogadishu, and then stormed inside exchanging gunfire with security guards. New UN General Secretary says he is "not a miracle worker"
The new United Nations chief, Antonio Guterres, warned Tuesday that the world body faces "very challenging times" and asked for support of reforms to make it better able to deal with them. Before beginning his first day of work at UN headquarters in New York, Guterres, who succeeded Ban Ki-moon as secretary-general on January 1, addressed staff and diplomats about the need for an overhaul of the international organization.